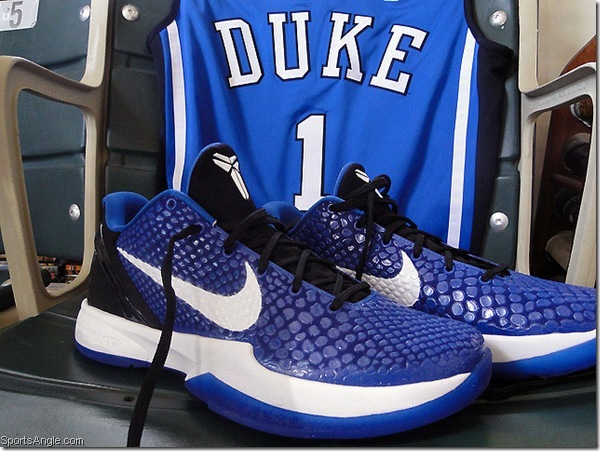 It obviously didnÃ¢â‚¬â„¢t work out like this, but even though I went to Duke, I was pretty sure I was going to pass on this yearÃ¢â‚¬â„¢s Nike Duke edition Kobe sneakers. For one, there are plenty of other fixes for my sneaker habit in the months to come. IÃ¢â‚¬â„¢ve never owned Bordeaux VIIs, but IÃ¢â‚¬â„¢ve always liked them. I need a fresh pair of Taxi XII lows (easily in my personal top 5), and I kind of like those black patent XIIs too. 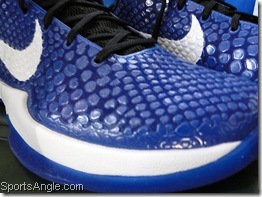 And even in terms of the Kobe VI, I preferred those Rice High School joints from his Foot Locker event in NYC. 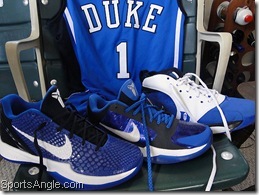 And though I did like the pictures of the Duke Kobe VI that started popping up, I wasnÃ¢â‚¬â„¢t sure the Duke version was different enough from last yearÃ¢â‚¬â„¢s to justify the purchase. Plus, I was pretty sure I liked the V more; it had the blue iridescent side panels and toebox, and the cool factor of being worn by Kyle Singler and Nolan Smith during a national title. When Nike put up the online link for the Dukes at midnight on Friday, I definitely wavered a bit — but held to my initial stance. IÃ¢â‚¬â„¢d stick with my Vs.
By the next day, IÃ¢â‚¬â„¢d found just as many reasons to cave. The thing people donÃ¢â‚¬â„¢t always get is: ItÃ¢â‚¬â„¢s not about the sneakers themselves. ItÃ¢â‚¬â„¢s your experience on the way to get them, or whatÃ¢â‚¬â„¢s going on in your life at the time. I remember getting LeBronÃ¢â‚¬â„¢s first sneaker, the Air Zoom Generation, at a Mom & Pop place by Port Authority to celebrate getting the job I still have eight years later. I also still have those AZGs. With last yearÃ¢â‚¬â„¢s Duke Vs, after missing the initial release at House of Hoops in Harlem, I tracked them down a few weeks later at the HOH at Willowbrook Mall in Jersey. On my way over to get them, I listened intently on my car radio as Kentucky was knocked off by West Virginia. I truly believed that was one of the last pieces to the National Title puzzle for Duke, so when I laced up the Vs a few minutes later, it felt extra-special. 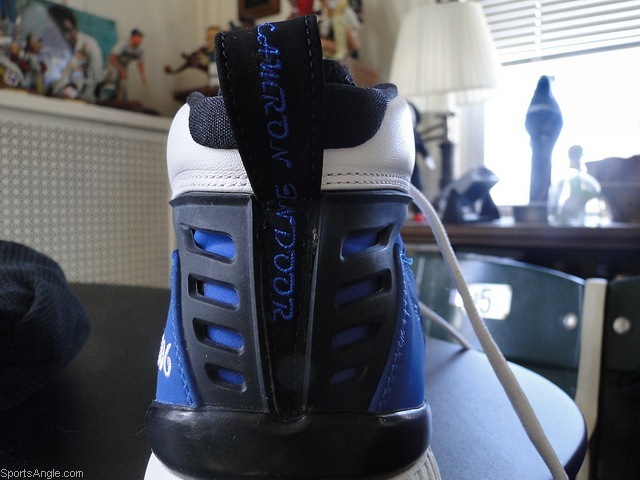 The next day, I wore them while watching Wrestlemania — and as Duke beat Baylor to make the Final Four. 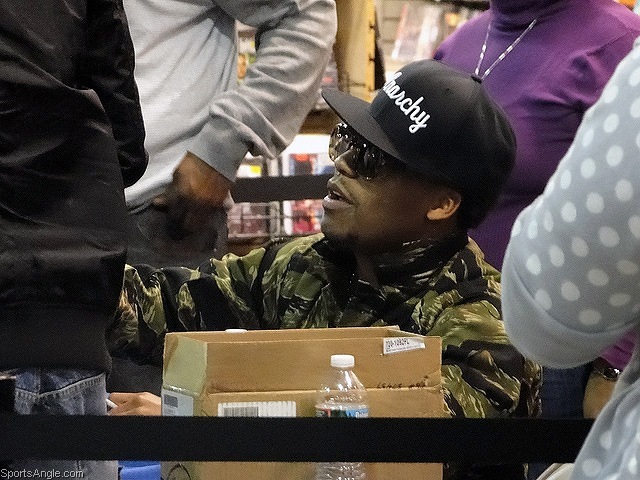 With the VIs, I had just gone to meet Lupe Fiasco — a personal favorite, and a great guy — at Jersey Gardens by Newark Airport. 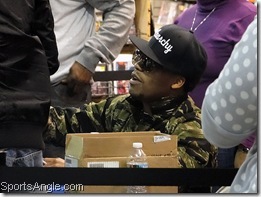 Afterward, I walked by Foot Locker on the way to my car. I was in a great mood — always dangerous — and like a moth to a flame, I was drawn in. Running my fingers over the suede by the heel, I had to admit they were much nicer in person. Nike was smart enough to release them on the day of Duke-Carolina. And when they told me in the store it was their only pair in my size and that they only got a half-dozen pairs overall, true or not, that put me over the top. Last yearÃ¢â‚¬â„¢s Vs didnÃ¢â‚¬â„¢t sell out instantly, but they werenÃ¢â‚¬â„¢t around forever. 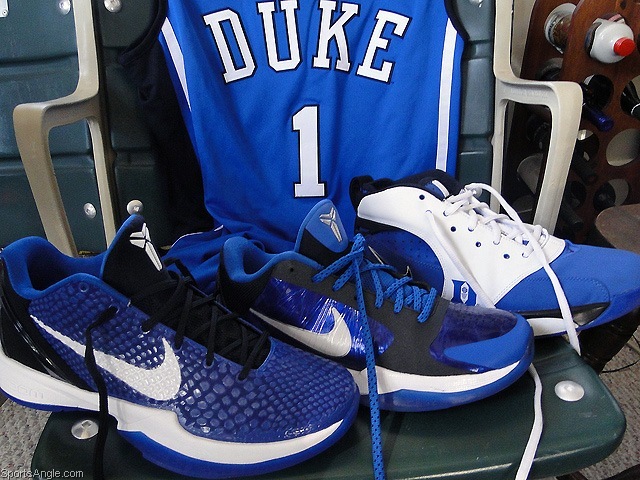 Though IÃ¢â‚¬â„¢d definitely feel a little more positive about them if Duke-UNC had gone the way of Royal Blue, the VIs have their own unique backstory, with a Lupe Fiasco soundtrack. Now having seen the VIs in person, IÃ¢â‚¬â„¢ve really gained an appreciation for the detail that went into them. Nike embraced the snake theme that goes along with the Black Mamba nickname, lacing the forefoot with a sort of scale pattern. The box has the scales too, along with the pun Ã¢â‚¬Å“Venomenon.Ã¢â‚¬Â That personal design touch wasnÃ¢â‚¬â„¢t evident on the Vs, at least this extensively. Rather than viewing the VI as a rehash, IÃ¢â‚¬â„¢ve begun seeing it like when Apple makes its new version of the iPad sleeker, or Ford does the same to the new model of the Mustang. They took my favorite sneaker of last year and tinkered with it until it was even better. I also like when signature sneakers have touches that have significant historical meaning to the athlete theyÃ¢â‚¬â„¢re created for. Jordans have thrived on this over the years, acquiring nicknames like Ã¢â‚¬Å“Flu GamesÃ¢â‚¬Â or Ã¢â‚¬Å“Space Jams,Ã¢â‚¬Â depending on what was going on with JordanÃ¢â‚¬â„¢s career when he wore them. 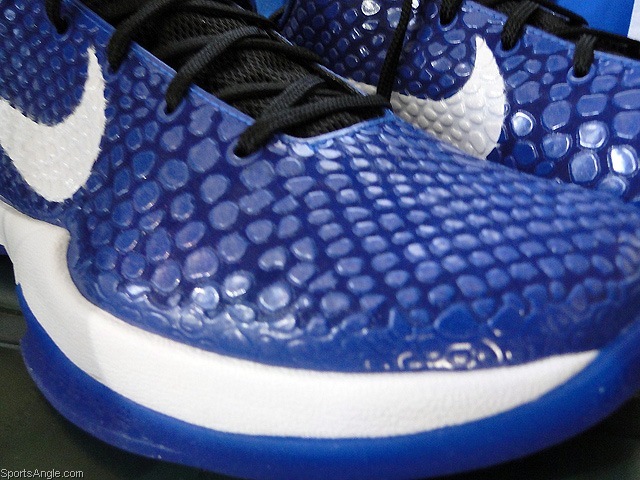 But I always liked in particular that they make a Duke-colored Kobe sneaker every year, mainly because Kobe has long maintained that if he had gone to college, he would have gone to Duke, arriving a year before I started there. HeÃ¢â‚¬â„¢d most likely have still been gone by the time I got there, but I guess you never know. And I like to think about how different my views on basketball would have been if IÃ¢â‚¬â„¢d slept in a tent to watch Kobe Bryant play ball. I graduated from Duke 10 years ago this May. And as IÃ¢â‚¬â„¢ve discussed here, every year that melts away, that magic I felt watching the final seconds tick off on what my friends and I called our National Title gets a little more faded, like an old photograph. If anything, a traditional pilgrimage to cop the latest Duke-branded Kobes is a once-a-year reminder that the team and the school are forever woven into my fabric, even if I no longer sit courtside. IÃ¢â‚¬â„¢d say that makes them worth several times their weight in rubber and leather. Next year, I wonÃ¢â‚¬â„¢t think twice.